MySQL is the #1 most popular database. That’s why MySQL GUI tools are so important. They make managing your databases administration, design, and creation so much easier! 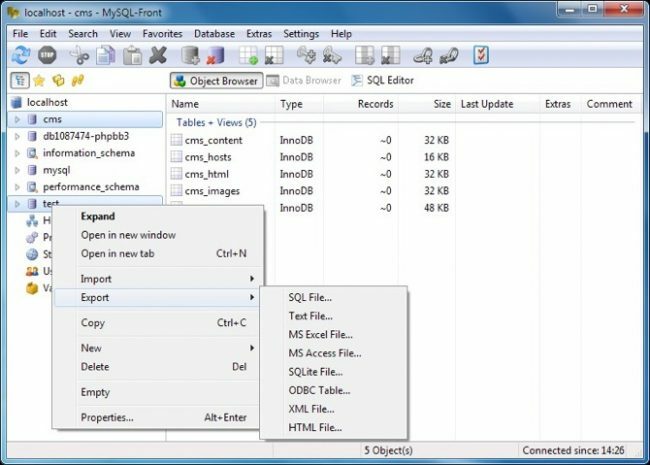 Learn more about the most popular MySQL GUI tools to choose the right one for you. MySQL might have started as a niche database system for developers but it has now matured into the #1 top dog position in the global database market. Disclaimer: charts and data copyrights are of StackOverflow. If you’re like most of our customers, you’re probably using MySQL. There are two ways you can manage MySQL. 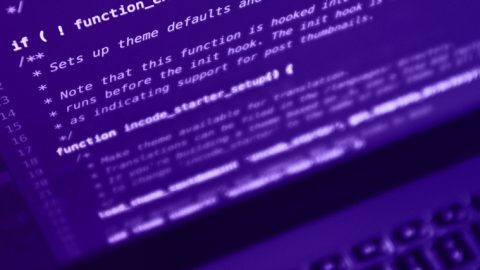 Using command line is fine for certain situations, but overall, using a GUI can save a lot of time and is much easier to work with. But with so many available tools, which one should you choose? 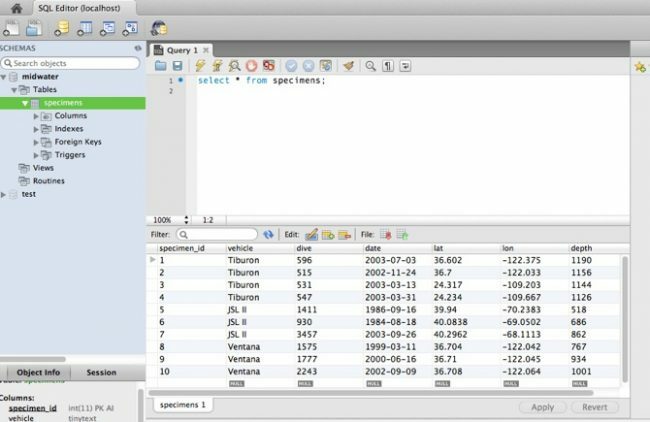 This blog post will review (in our opinion) the 15 best MySQL GUI tools. Hopefully, it can help you choose the right one for your needs. 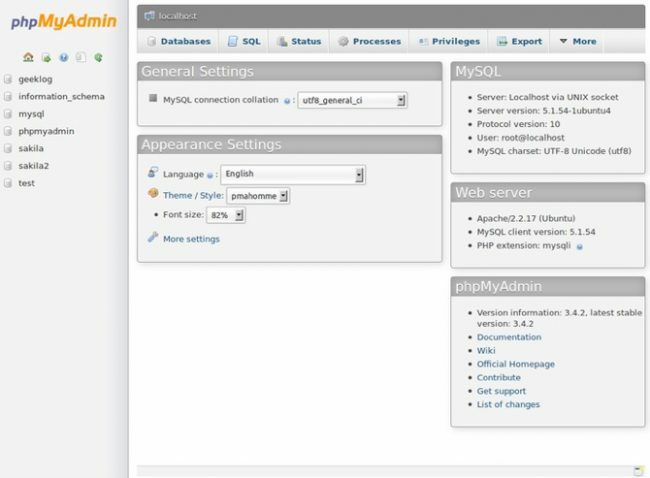 Initially released back in the 1998 phpMyAdmin was written in PHP in order to handle MySQL and MariaDB inside the web browser. Today it is one of the most popular tools that manage MySQL database administration. It has enough functionality to create a website without technical knowledge of MYSQL. It is free to try and use but author encourages donations that can enhance the software. It’s widely used to manage databases, tables, relations, users and much more. Since it is web-based, it can be accessed from nearly any computer. 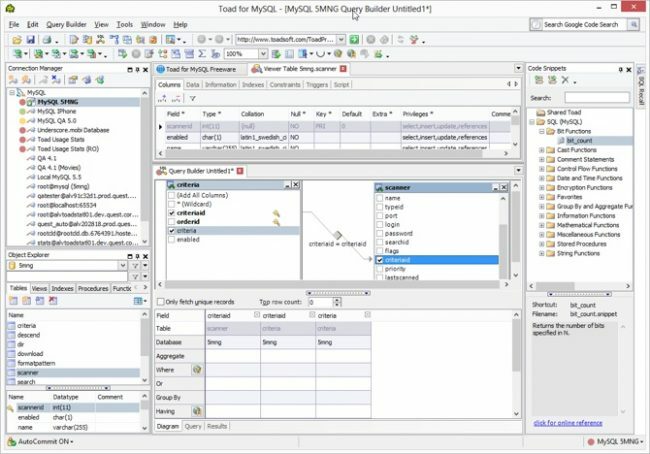 MYDB studio was released in 2004. It offers a handy collection of tools for MySQL server administration. 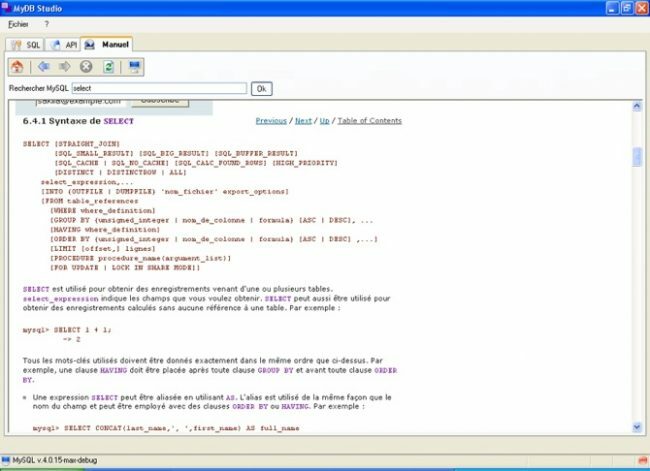 Users can use it to create, edit and drop database objects. It has a simple Graphical User Interface which allows users to get used to it with ease. It features the ability to create PHP scripts and has a built-in browser that lets you search manually. It is free but in order to get a free license, you need to register. In order to use it for free, the user must register. HeidiSQL got released as a stable open-source tool in 2015. It is handy and used widely by web developers and it’s available on OSX and Windows. 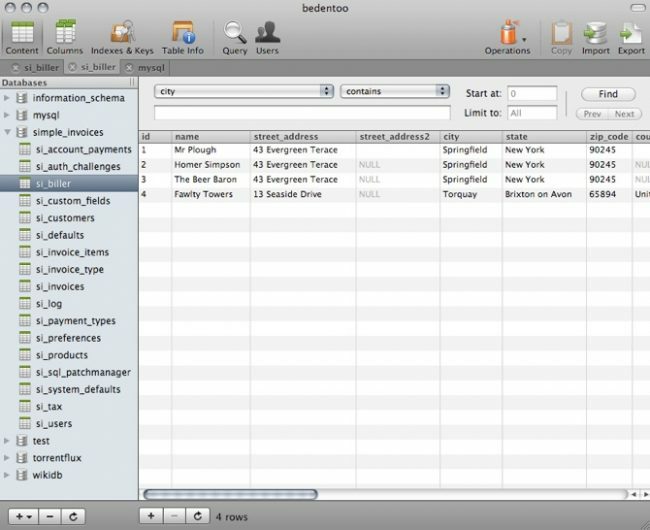 It offers tools such as editing data, browsing data and lets the user create the tables and modify them. It is very popular because of its portability, lightweight, and ease of use. More importantly, this tool is freeware, attracting various developers and database administrators. Unfortunately, it works slower and tends to crash when there’s too much data used. 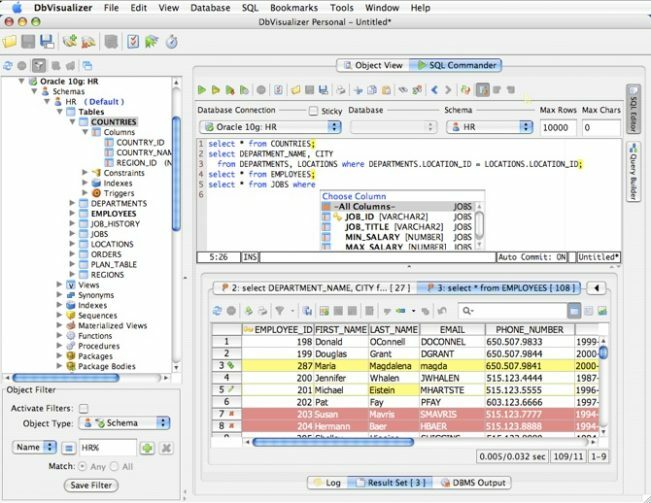 MySQL Workbench is a visual tool for database architects and developer. It offers administration tools for server configuration, user administration and much more. It is available on Windows, Linux, and MAC OS X. It is recommended for anyone who wants to master Database administration. It came out as a stable tool in October 2016. It is more complex compared to Phpmyadmin. 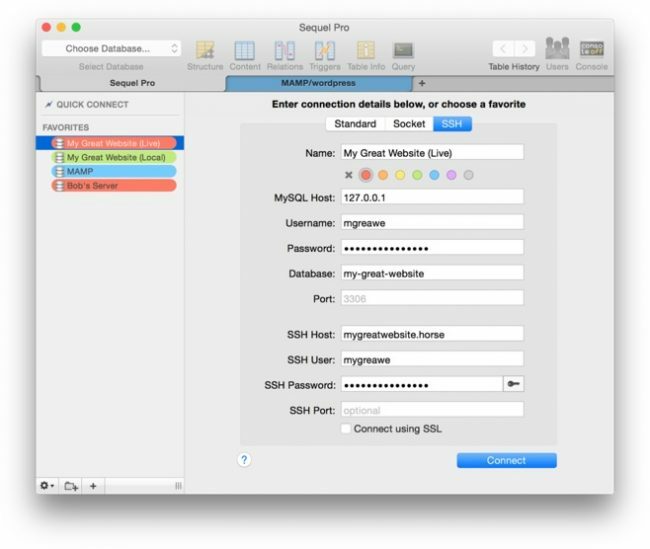 Sequel Pro is an open-source application that enables the user to build sites for free. However, it is widely used by programmers and software developers as well. Unfortunately, it is available only for MAC OS X so windows users have to turn to some other open-source application. It is free but author encourages donation. It is not available for other operating systems. Database Master offers a large set of features and options that any database administrator would love to have. It does everything that is expected from the program. It is limited to Windows and isn’t freeware. 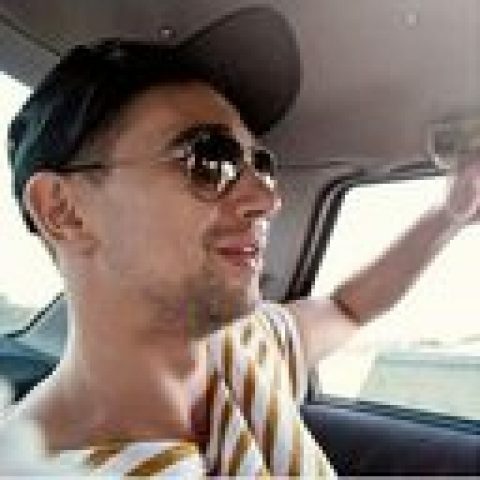 It is used for creating, editing, and dropping database objects. It is not freeware but offers a trial version. 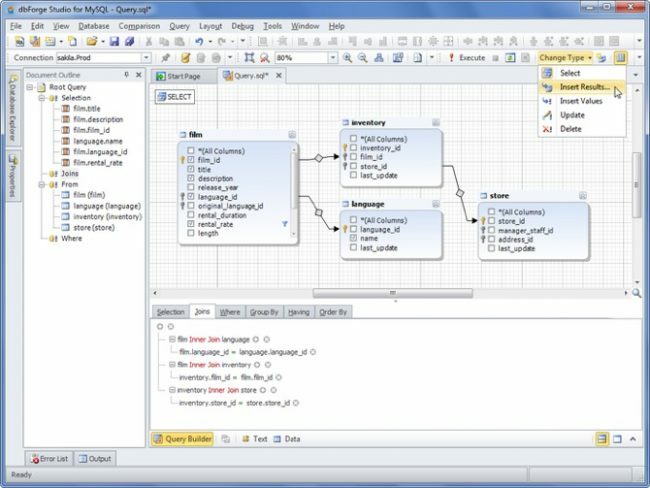 DbForge studio is an integrated environment for MYSQL. 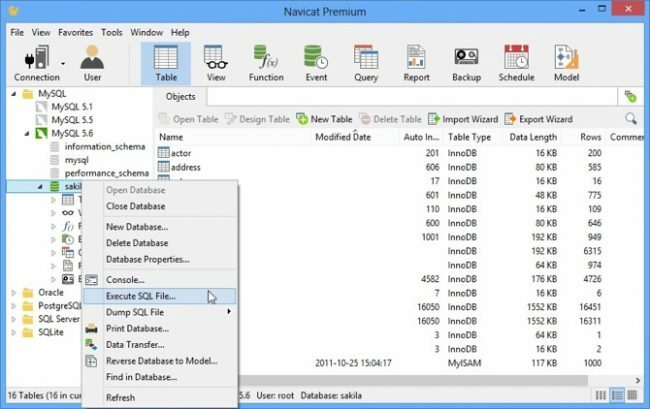 This GUI is handy for managing databases, developing and editing MYSQL. It enables users to create and run queries inside a comfortable environment. Although it’s not for free and costs around $150, it is very convenient and has a lot to offer. It was found in 1997 in the Czech Republic. This software comes in 3 packages Professional, Enterprise, and Pro. However, you can choose one of the 3 packages after trying it out as a trial. 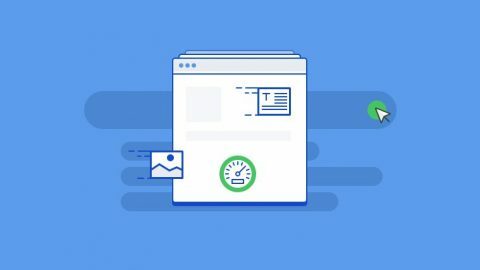 SQL database administrators can trust it to perform well, without too many bugs and ease of use. This is another feature that is only available for Windows, so OS X and Linux users will have to look elsewhere. Released back in 2012 is Windows’ front end for the MYSQL server. Many database administrators and developers use it in their endeavors, as much as web designers and developers. 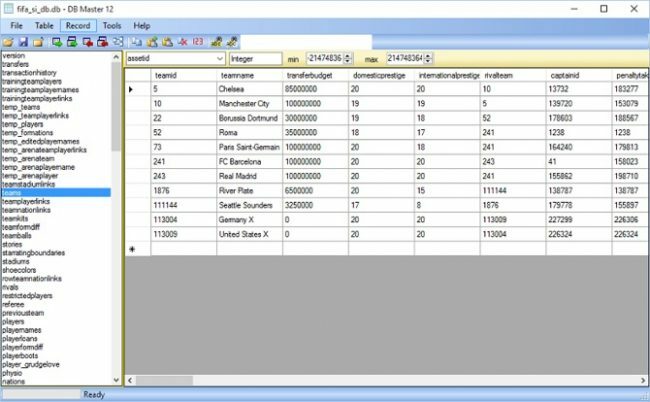 It can be used for importing and exporting data as SQL files, CSV file format, HTML, XML and much more. Just like other enhanced GUI applications, this one isn’t free, but it offers a free trial. This program is free and available for all operating systems Windows, Mac OS X, Linux, and Unix. It was launched in 2015 and is handy for database developers, web developers, and analysts. It offers a wide range of features and settings that support database development and maintenance. The base version is free, but you can upgrade it to a pro version which has more features. Easy to use, very flexible and ensures simple data recovery. Pro version is quite expensive and not worth the fuss. 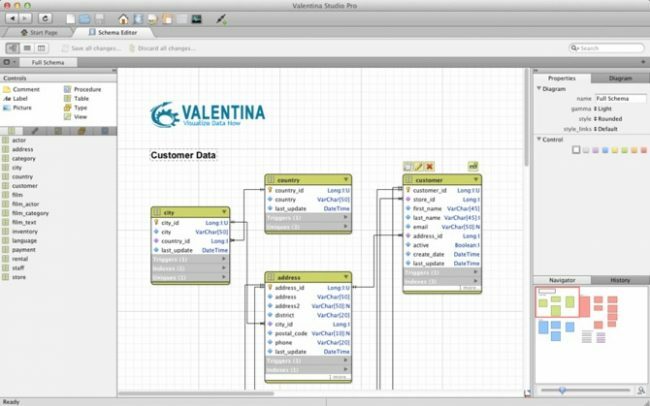 This powerful GUI operates with special Valentina databases, MYSQL and MariaDB. It is available for OS X, Windows, and Linux, and it also features iValentina version for iPhone and iPad. It operates with various queries, lets you create and maintain databases, queries, relations, and much more. The basic package is for free, and it is dedicated to the users that would like to learn more. More advanced packages ( Pro -$ 199.9, Universal -$399.9) are recommended for professionals. Valentina Studio has a fresh, intuitive and responsive user interface. 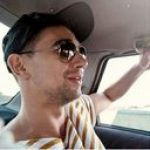 We haven’t noticed significant issues that would affect user experience, except that pro and universal versions have much more to offer, but are much more expensive. 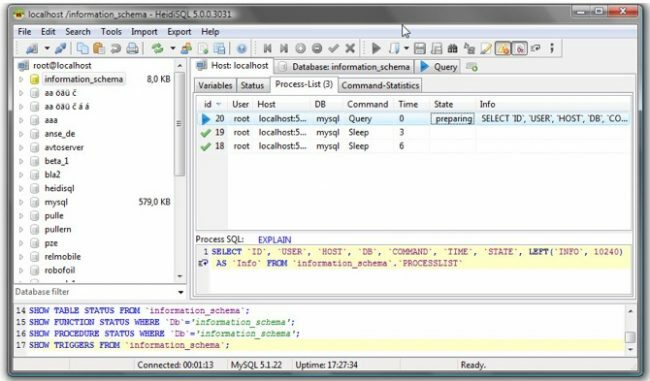 This tool enables the user to monitor, maintain, develop and design MYSQL databases but also MariaDB with ease. It has extremely easy and innovative user interface and is dedicated to anyone who wants to master this branch of IT. 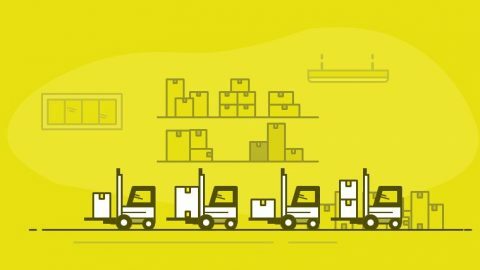 It can import and export files in SQL and CSV format and much more. This software is not for free. It costs $25 USD and offers a free trial that lasts 30 days. Also, Querious is available only for MAC OS X. The full price of this product isn’t as high as it is on other products. It gives professional user experience and editing. It is available only for Mac os x. 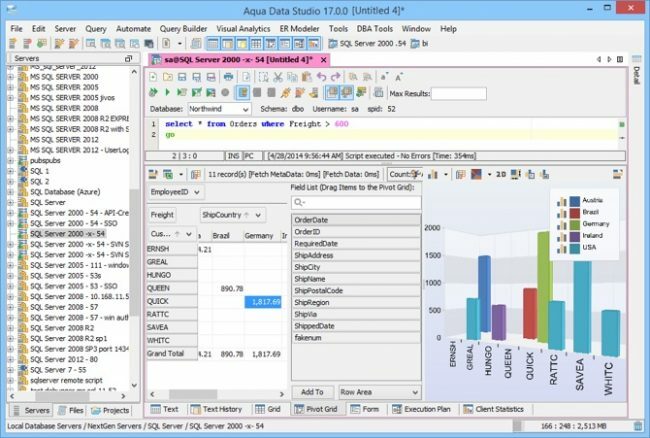 Aqua Studio is an extremely popular and useful tool that assists database developers, web developers, and analysts. It has high-quality functionality, it is easy to install and use if you possess the knowledge. It offers a lot of features and functions and has highly responsive customer support. 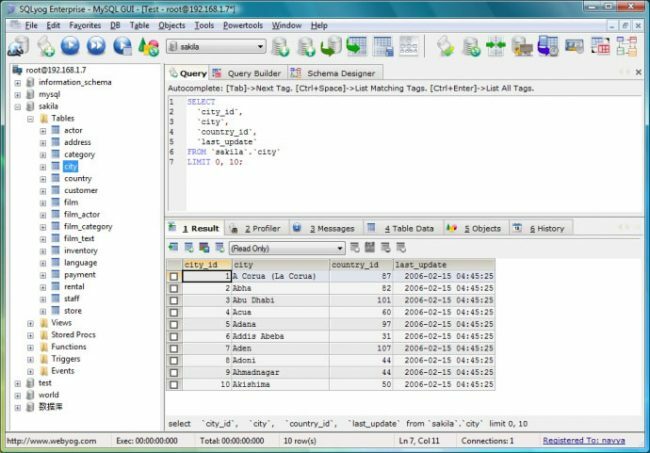 Aqua Data Studio makes creating and running queries very easy and is intuitive towards beginners. It is way too expensive for what it has to offer. It requires a lot of technical knowledge in order to master it. Many database and web developers refer to Toad feature for MYSQL, especially Oracle developers. It makes coding and creating databases easier and more efficient in the process. It was released in December 2014 and it is available for all versions of Windows starting from Windows 98. The best part is that this software is completely free. It is very easy to use, especially with its user-friendly interface. It offers many options and features that enhance user experience. It can get buggy, even on a PC with high-end specifications.